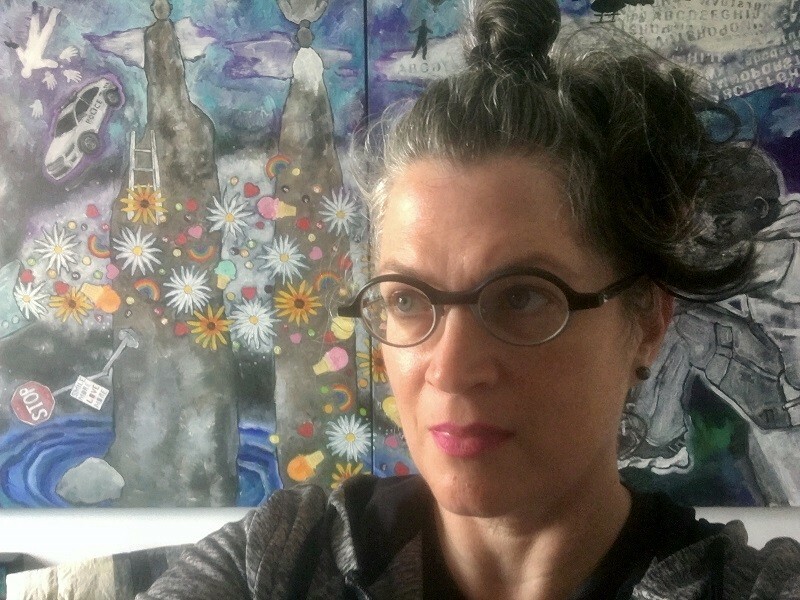 Angie Reed Garner (1969 Lexington, Kentucky) is a second-generation self-taught narrative painter and writer, with a BA from Reed College in 1989 (Classics). A serial expat since 1999, she has lived in Germany, Pakistan, and the United Arab Emirates. She has exhibited actively since 1996 with 13 solo shows in the USA, Europe and the Middle East. Garner paints saturated, symbolic narratives; a favorite theme is the fragility that which makes social life possible: identity and belonging. Since 2011, she also serves as director for garner narrative, a gallery dedicated to narrative art located in Louisville, Kentucky.